My next phone will be an Android, but which one? The time has come to buy a new phone. My HTC Google Nexus One has been good, but it is definitely showing it's age (5Mp camera and serious RAM limitations). Unfortunately I don't think my ideal phone exists. These are the things I'd like to see in a phone. From my research it seems that the array of waterproof phones that appeared a year ago seem to have somewhat fallen by the wayside with limited distribution and few upgrades to the latest OS. None are class-leading in terms of speed, memory or battery life - which I think rules them out. I'll have to continue to rely on a waterproof case. So what's my top list at the moment? 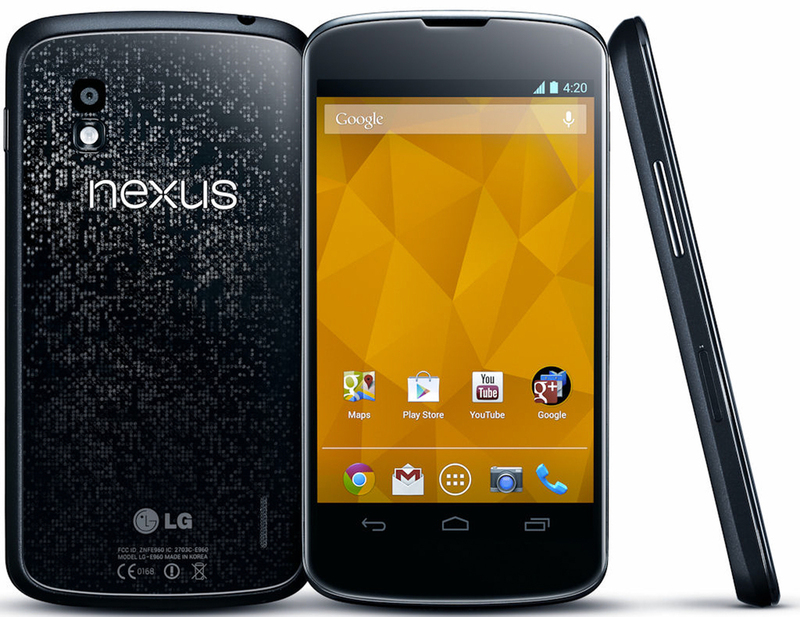 LG Nexus 4 (Google Play) - The latest unadulterated Google 4.2 experience, however limited internal memory (16Gb) and no SD slot, along with a fixed battery - although the unlocked price wins the charts hands down. Some questions have been raised by early reviews on battery life and performance, but I'm hoping they're bugs in early versions of s/w for the unit. Samsung Galaxy S III (UK/US) - Vastly popular phone with replaceable battery, SD slot, GLONASS support, although currently on Android 4.0. Given the popularity I think it is likely to get at least 4.1, although with the 5" S IV rumoured for MWC Feb 2013, will it get the subsequent release? Motorola Droid RAZR MAXX HD (US) - Gets the price for the gigantic battery at 3300mAh, and has a kevlar back and water repellent coating inside and out, but isn't widely available yet. Galaxy Note 2 (UK/US) - Also get a large 3100mAh battery, but feels just a little too large with a 5.5" display. As one of the key use-cases for my phone is hiking & navigation, the fact that the Qualcomm Snapdragon S2, S3, and S4 processors all have the capability of receiving both GPS and GLONASS, means one of these will give me a much faster GPS lock. Anandtech confirms that the Nexus4 does indeed have GLONASS. From a battery perspective, the Razr Maax has the advantage with an embedded 3300mAh. The Samsung Galaxy SIII can be augmented with a Morphie case containing an extra 2300mAh battery bumping the solution to something like 4000mAh; or by swapping the internal battery for an extended one with a larger back cover. There are some interesting real-world battery life comparisons on anandtech's recent review of the Nexus 4, showing pretty so-so performance for the Nexus 4, and blinding performance from the Droid RAZR MAAX, as you might expect from the size of battery. He also makes the point that whilst the back is removable (via torx screws), the number of antennas on the rear of the device make it unlikely that we'll see a Nexus 4 battery case or extended battery from a 3rd party. One of the biggest pain points on the Nexus One has been the size of RAM and Flash available to applications and OS, limiting me to Android 2.x, so I'm keen not to buy into something which doesn't appear to be a limit now but will limit the ability to upgrade. The Galaxy SIII in Europe comes with only 1G or RAM, not the 2G that you find on the LTE or US versions. The Razr Maxx HD is also limited to 1Gb RAM. Despite the battery and SD limitations, I think the winner for me is the LG Nexus 4 given the combination of Nexus goodness, fast quad core CPU, GLONASS support, and last but not least, the killer price. I've captured the key information into the spreadsheet above, grouped into top of the range phones, rumoured or not yet available phones, and the not so great waterproof phones. Open the Android smartphone comparison spreadsheet in a new window. Comparison reviews DigitalTrends, CNET, AndroidHeadlines, AutoMobile.